Hat Rock State Park is located on the Columbia River in northern Oregon. Lewis and Clark stopped here on their expedition and Clark made reference to the hat-shaped rock formation. At this point, they were beginning to get excited that their long trip was almost over…they had almost reached the ocean. 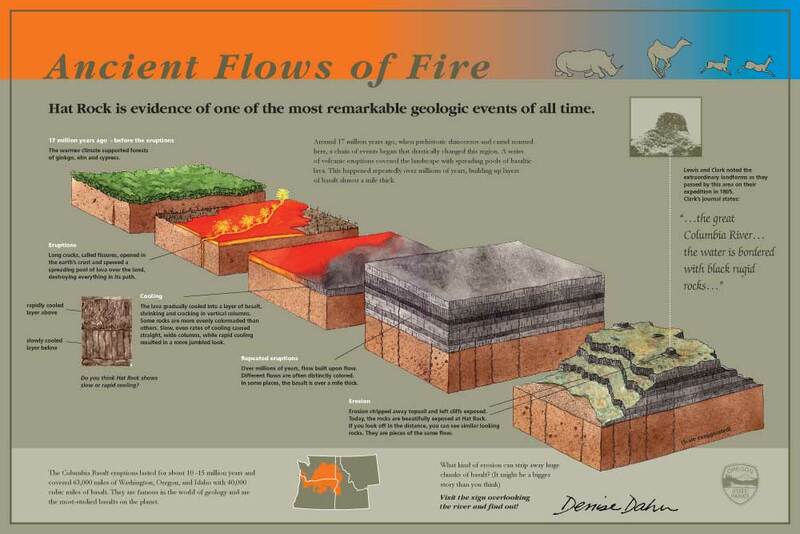 I researched, wrote text, designed and illustrated the series of six signs. Please do not download these images! 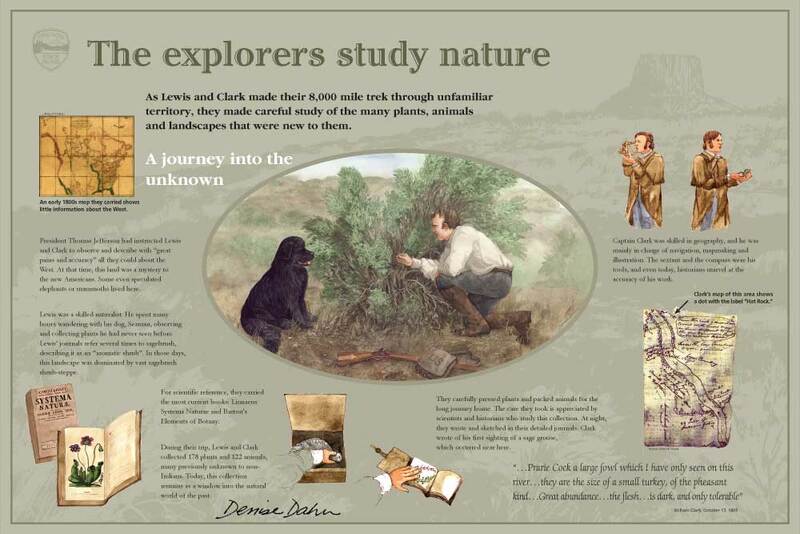 Meriwether Lewis and his dog Seaman hiked through this country studying the plants. Being a skilled naturalist, he made meticulous notes and sketches and took samples. 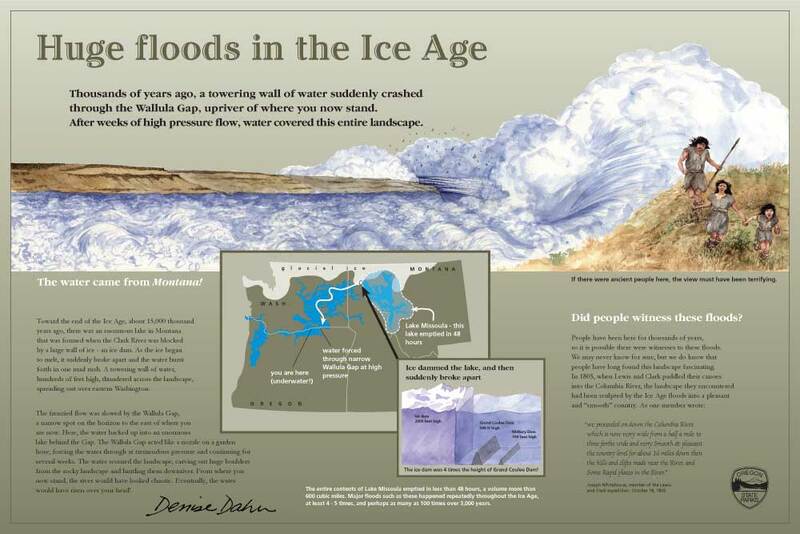 From where this sign is located on a cliff overlooking the Columbia River, you can see the path taken by the huge rush of water that shot through this area during the Ice Age floods. The basalt cliffs and rock formations are a striking feature of the landscape at this park.